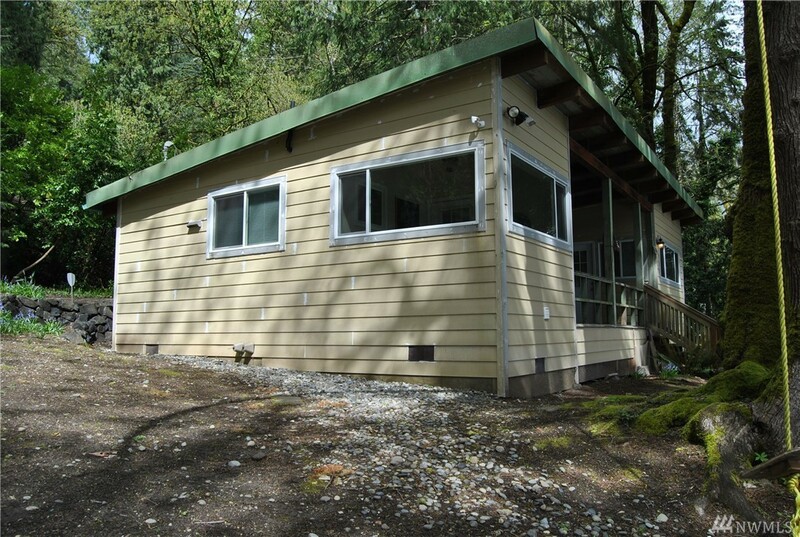 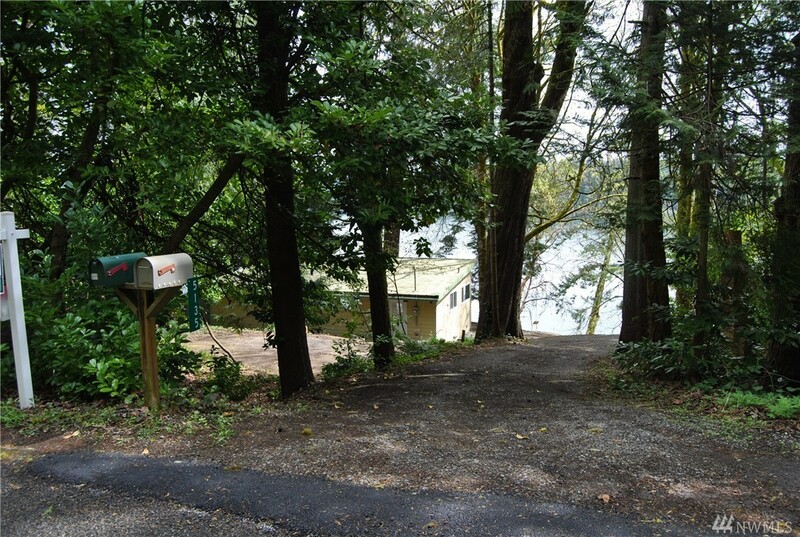 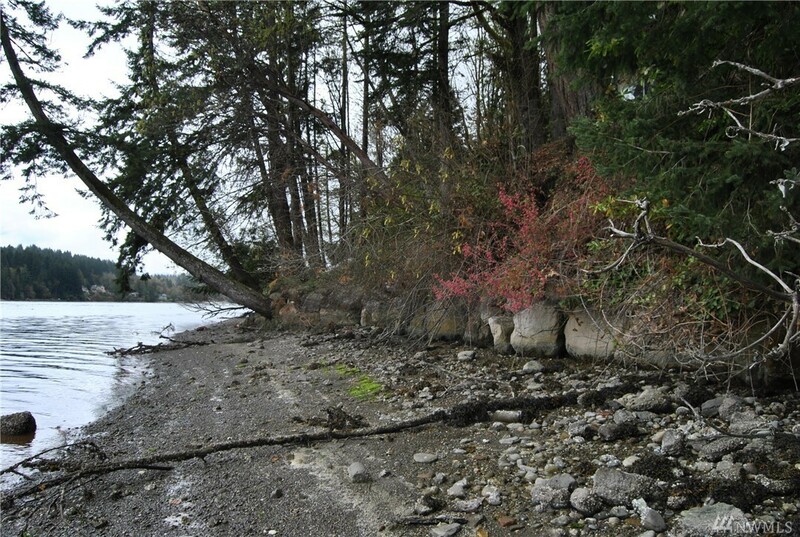 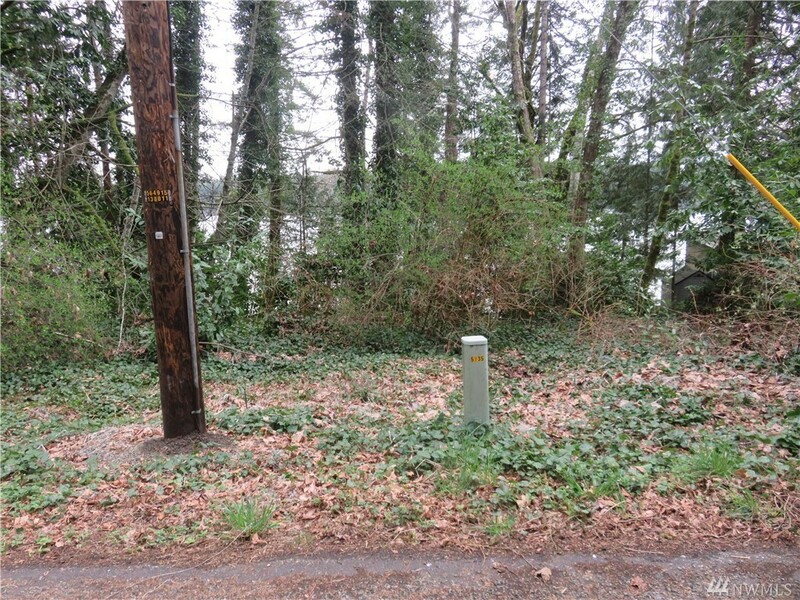 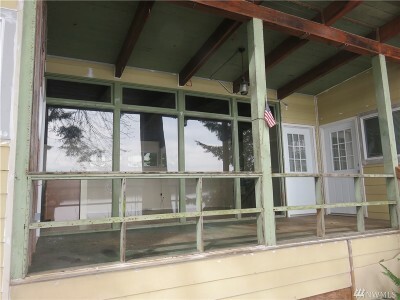 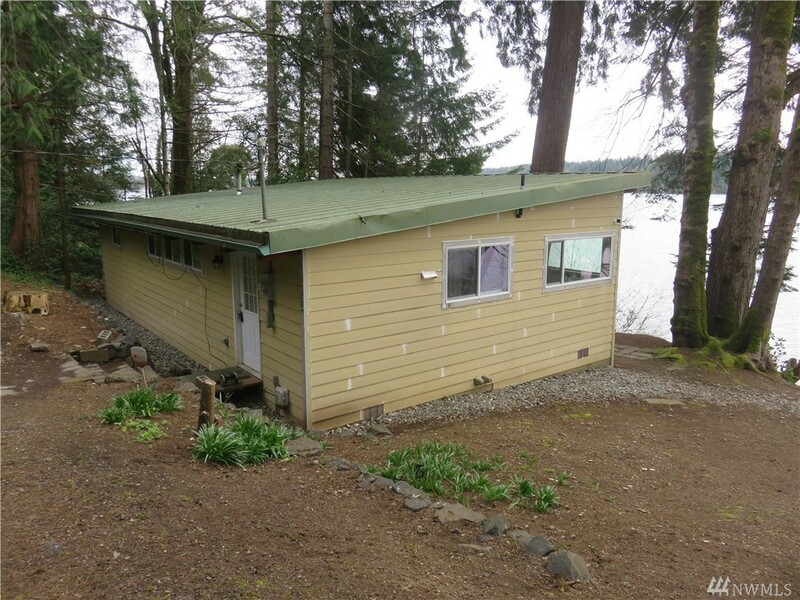 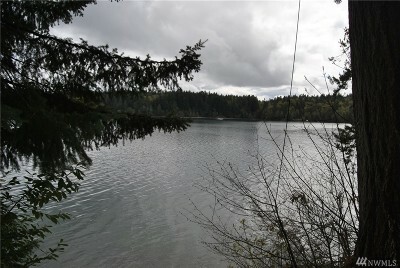 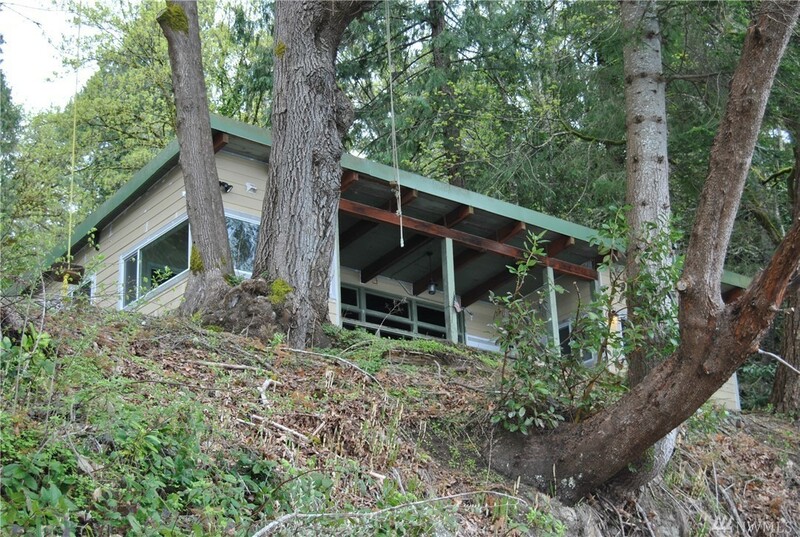 800 sq ft; lot: 0.65 acres - MLS# 1439174 Courtesy of Virgil Adams Real Estate, Inc. 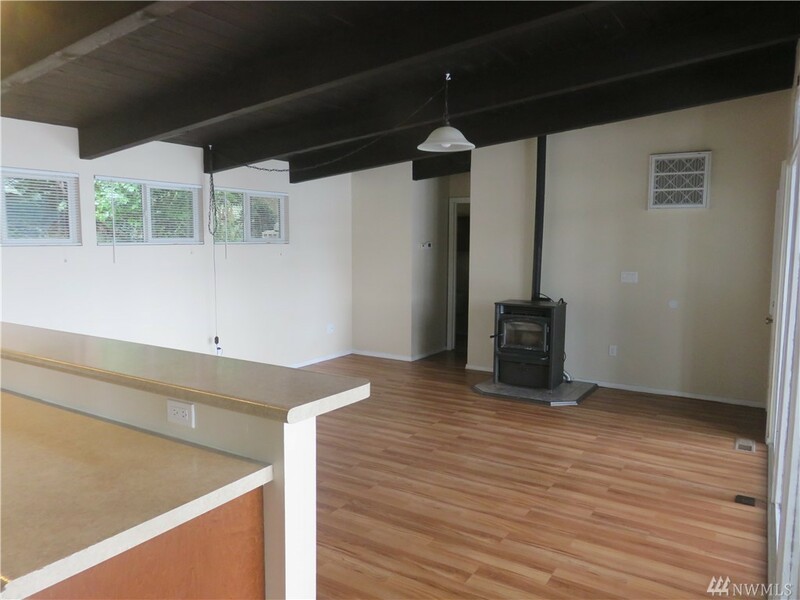 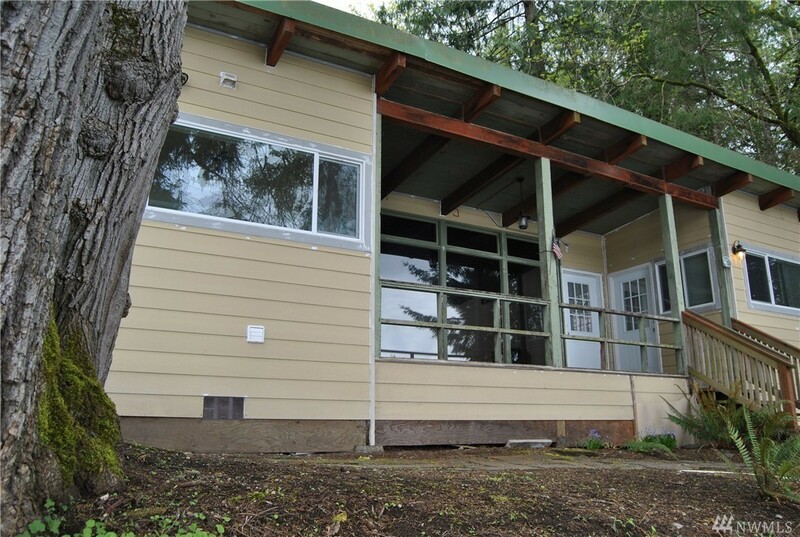 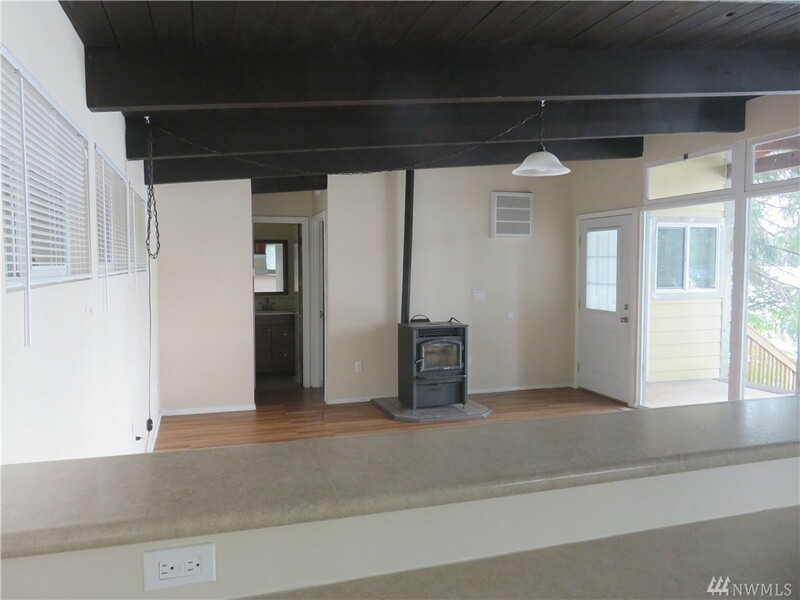 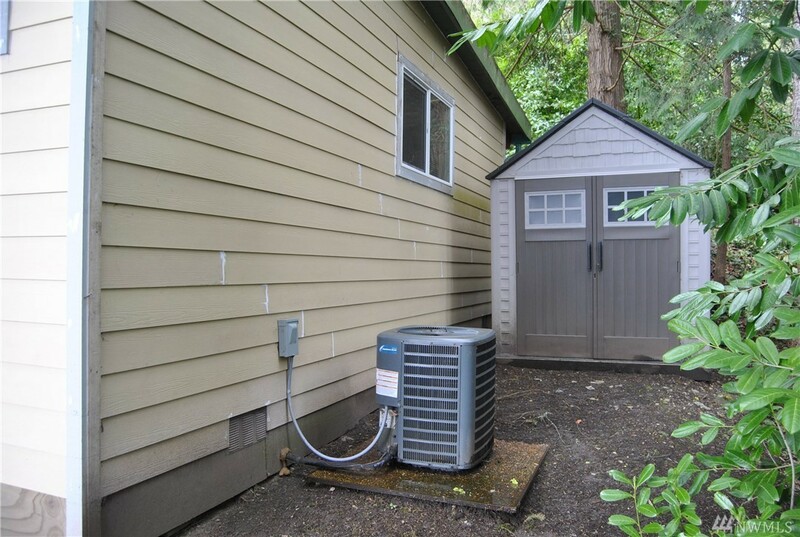 Very solid bungalow with hardi-plank siding & metal roof. 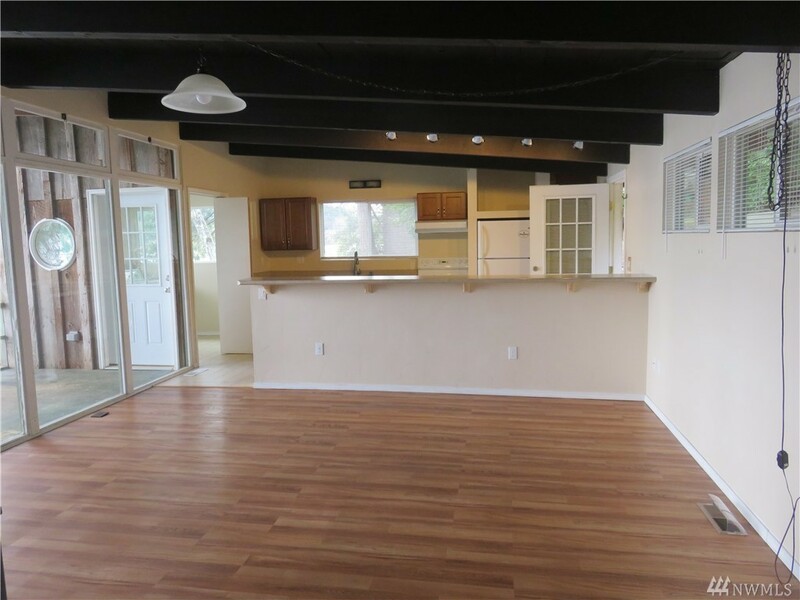 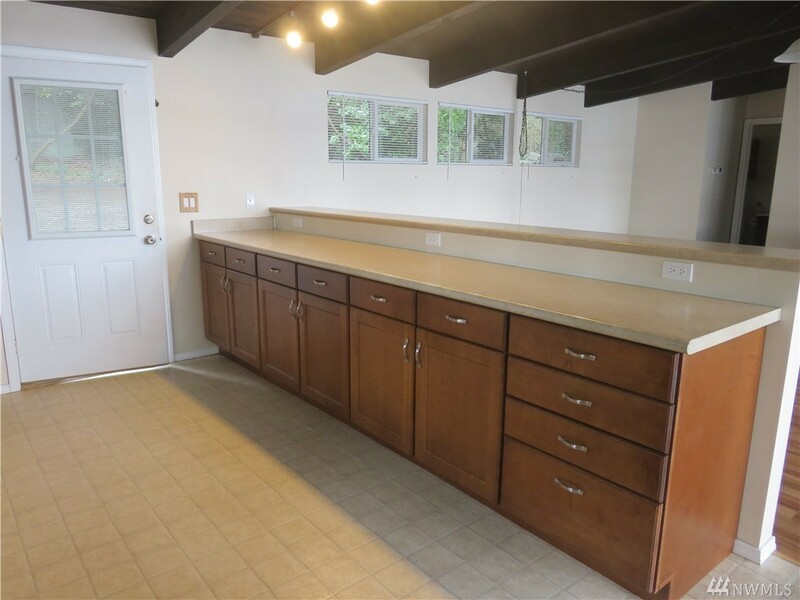 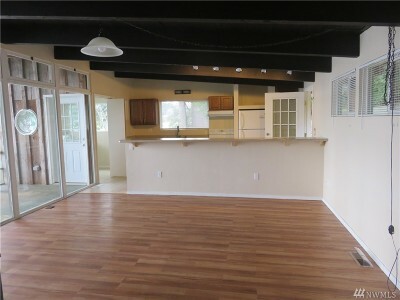 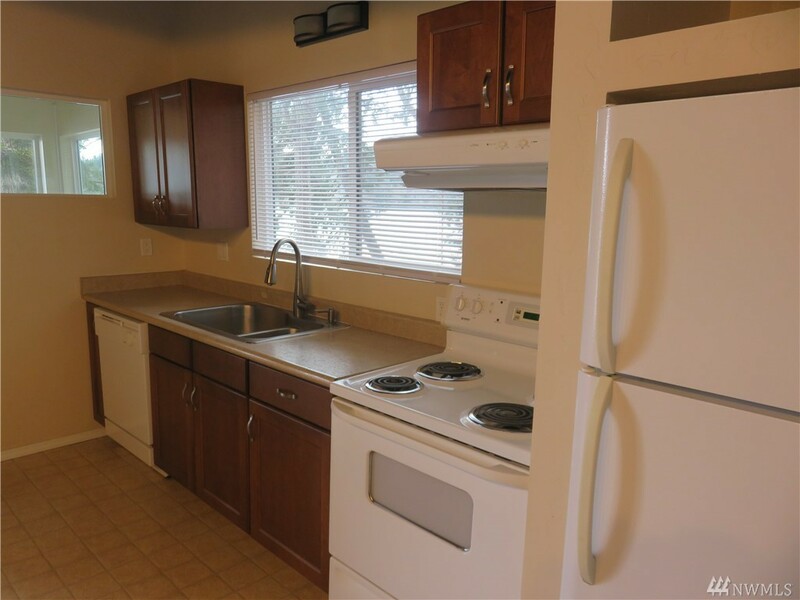 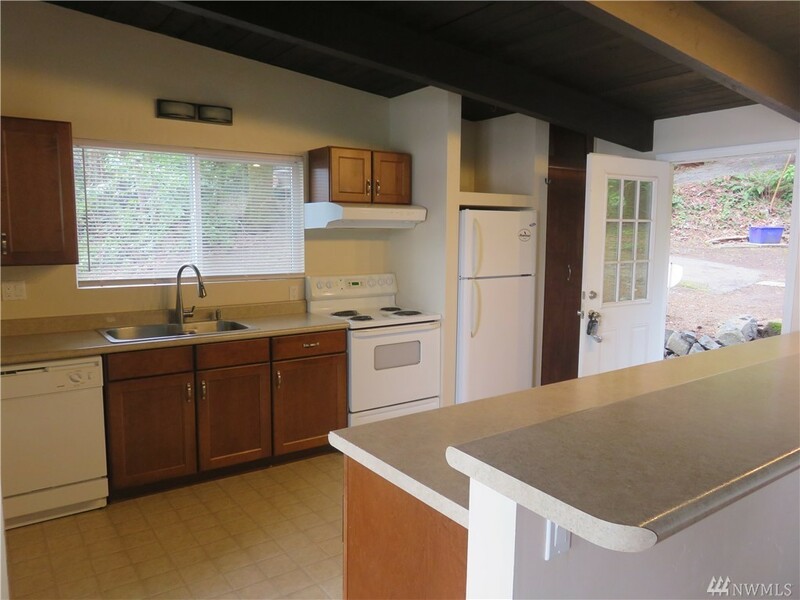 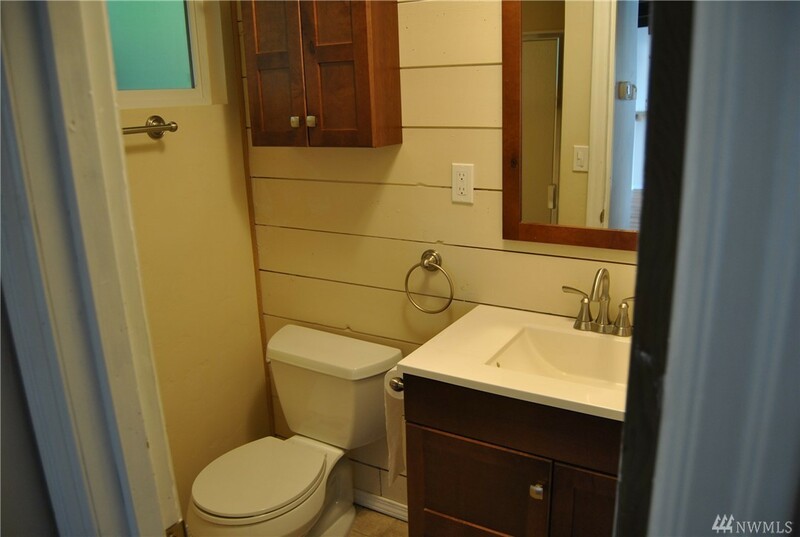 All updated, newer kitchen cabinets, with a huge counter breakfast bar with plenty of storage cabinets below. 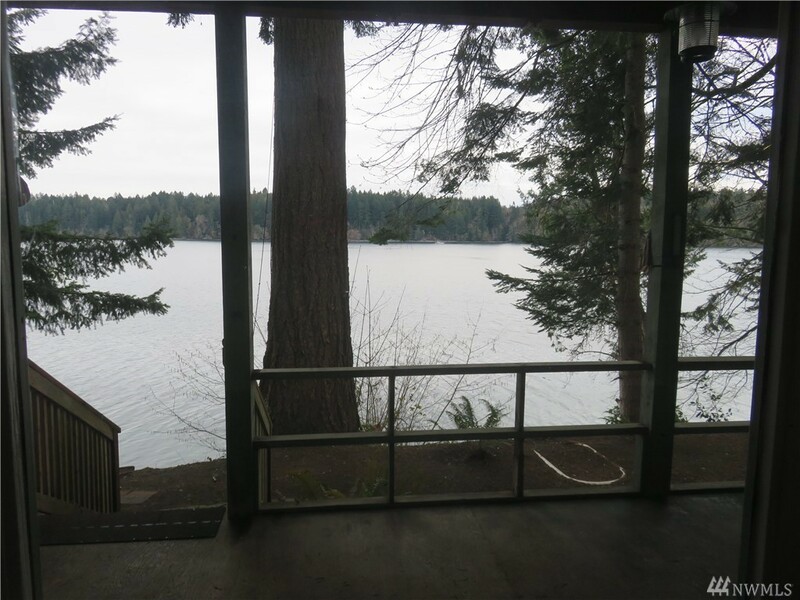 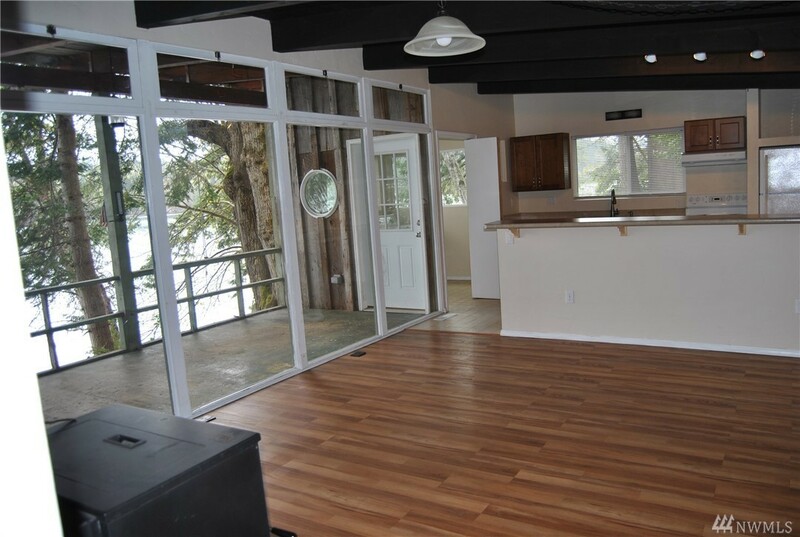 Open concept with a lots of windows facing this wonderful view of water and trees. 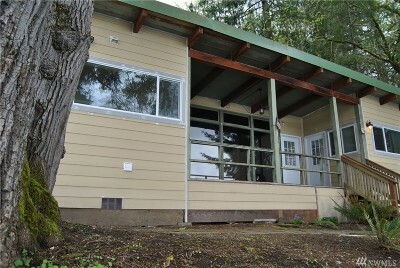 Newer vinyl windows and 3 steel doors with windows. 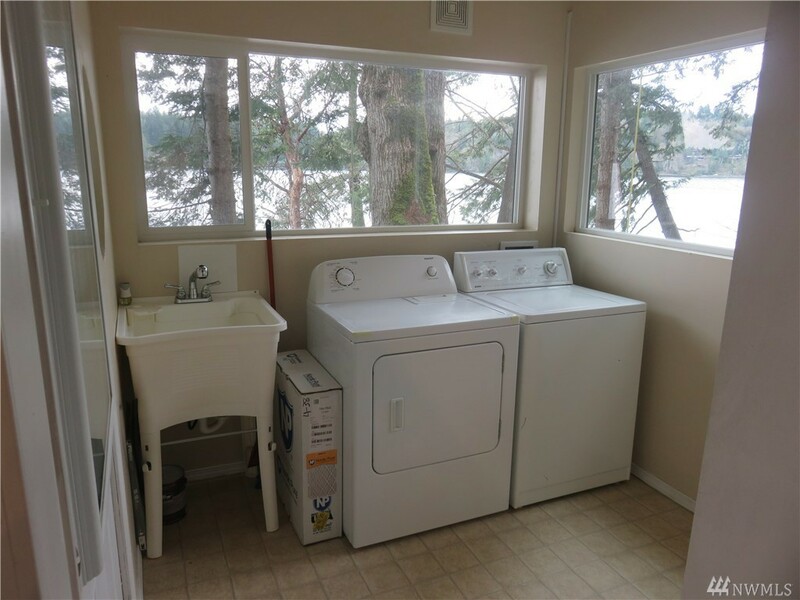 Laundry room with a 180 view. 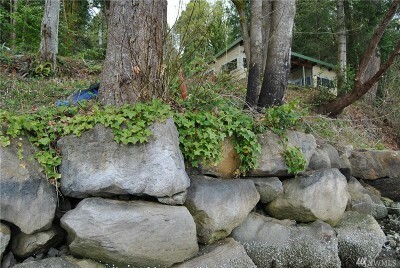 170 feet of bulk headed waterfront on two parcels. The parcel to the left of the cabin is 40 feet wide, possible to expand on this site.